UCM Art Gallery, Arts UC Merced Presents, and UCM Library are proud to present the Annual Bobcat Art Show. Now in its eighth year, the art exhibited includes different mediums such as painting, drawing, photography, sculpture, and mixed media. Continuing on from last year, the students from Professor ShiPu Wang's curatorial studies course will assist in the show's installation and judging. Exhibition Manager Gail Benedict says, "students in Dr. Wang's class are working really hard to make this a great show. They make it fun." Students who choose to participate have the chance to win "Best Student Artist" in the categories of 2-dimensional art, 3-dimensional art, and photography/digital media. "For many participants this is the first time they have shown their art to the public. It is an invaluable experience for them," Benedict noted. Arts UC Merced Presents is now in its fifth year as an arts presenting program. Its mission statement emphasizes art that educates, enriches, and entertains. The Annual Bobcat Art Show strives to uphold this belief by expanding the understanding of contemporary art and multimedia. As a result, all submissions are accepted, giving all participants an equal opportunity for their work to be displayed. uphold this belief by expanding the understanding of contemporary art and multimedia." 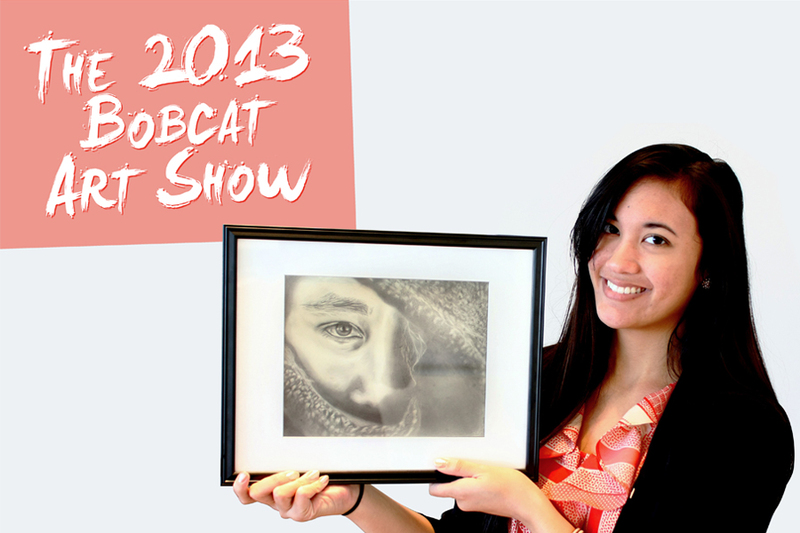 "UC Merced artists are sharing their best work this semester in the eighth annual Bobcat Art Show."